The properties and terminology of electricity - current, power, var, voltage, etc. An overview of the electric service system, and how it works. The structure and function of the North American power grid. How control areas & balancing authorities operate, what spinning reserves are, and how the lights are kept on. The pros and cons of different sources of electric generation ( coal, natural gas, nuclear, renewables ), and how they work. Why open access retail electricity markets are finally developing in states that permit them. Who the various industry participants are and their roles. Why restructuring today's power markets is such a complicated task. The difference between ISOs, RTOs, ITCs and merchant transmission companies. Why it is so difficult to build new high voltage power lines. How ISO Day-Ahead energy energy auction markets operate in PJM, New York, Texas, California, MISO and other ISO areas. What locational marginal pricing (LMP) is, and why it is important. How Day-Ahead and Real Time LMP applied and managed in the ISO markets. Virtual bids (''Incs & Decs'') and convergence bidding and what their purpose is. Financial transmission rights (''FTRs''), congestion revenue rights (''CRRs''), TCCs, TCRs and TRs. Forward capacity markets, resource adequacy and generation reserve margins. Wind, utility scale solar, rooftop solar, community solar, and the net metering debate. The opportunities, challenges and risks associated with wind, solar and other renewables. The smart grid, demand side management (''DSM''), distributed energy resources (''DER'') and demand response (''DR''), and why these assets are forms of ''virtual'' electric generation.. The fundamentals of bilateral power transactions-units, concepts and terminology. Common contract language used for bilateral power transactions. Point-to-Point Firm, Network Firm, and Non-Firm transmission service, and how to buy transmission contracts on OASIS. How to transport physical power using purchased transmission service and the purpose of NERC tags. What ''seller's choice'' and ''buyer's choice'' are, and how forward ''daisy chains'' form at virtual trading hubs. The difference between physical, scheduled and contract path power flows, and why power transactions have nothing to do with the flow of electrons. How trading floors and futures exchanges help commercial players manage risk. How and why physical power transactions are often ''booked-out'' and settled in cash. How any why companies often move physical power financially causing it to 'jump' between regions. An introduction to electricity cash settled futures, swaps, and CFDs, and how these products relate to ISO administered financial transmission rights (FTRs), congestion revenue rights (CRRs) and TCCs. 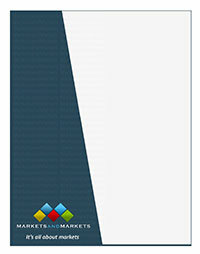 Detailed examples of how to execute wholesale and retail power marketing transactions both within and outside of an ISO area-- including commonly used contract language & NERC tags; how to manage price, LMP, basis, delivery, volumetric, intermittency and operational risks; and the importance of including NITS, TAC, UCAP, resource adequacy and ancillary service charges. This two-day seminar will be held at the hotels listed below. The seminar will start promptly at 8:00 AM and will finish at 5:00 PM on the first day. On the second day, the seminar will resume at 8:00 AM and will finish at 2:30 PM. The program includes continental breakfast, lunch, and coffee breaks on the first day. On the second day a continental breakfast, snack and coffee breaks are included. Attendees also receive a professionally produced seminar manual that can serve as a valuable office reference. Dress is casual for all seminars.